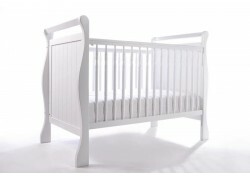 Vistawood Furniture Specialist in Baby Cot Furniture and also Baby Furniture. We are Baby Furniture Manufacturer in Malaysia, and we are Baby cot supplier. We supply high quality Baby Cot in Malaysia and others Country, We are Top Baby Cot Manufacturer in Malaysia. Vistawood Selling Baby Cot than 20 years, We Design the Baby Cot for all the buyer. We are Baby Furniture Exporter, We export Our Baby Cot to other country, we are high quality Baby Cot supplier in malaysia. Get more information about Baby Cot, can visit our website now. vistawood Sdn Bhd is Baby Cot expert.